We’ve been nourishing communities for ten wonderful years, and over our time we’ve been utterly inspired by the people who make FoodCycle happen – from our guests and volunteers, to our fundraisers and partners. So to celebrate our ripe old age, here are ten things that make us say ‘WOW’. Mathew Hales is a Project Leader at FoodCycle Birmingham Sutton, one of our newest projects! Here he explains how he came to be involved as a volunteer, what he enjoys about it and how it has helped to build his confidence. Are you looking to get more involved in your community? To make a difference and meet new people, consider getting involved at FoodCycle! Here are five ways to help us nourish communities and create a society where no-one is hungry on lonely. Are you looking to volunteer in 2019? If you want to meet new people, learn some super skills and have a positive impact in your community, then look no further than FoodCycle! Here are 10 reasons to volunteer with FoodCycle in 2019. Are you a student thinking of getting stuck into some volunteering in 2019? Meet Brad Corrigan, a 20 year-old student volunteer who is a Project Leader at FoodCycle Dalston. We’ve collected delicious vegetarian recipes from top chefs and our brilliant volunteers, which are all hearty dishes that are made for sharing. We can't wait to share them with you. Andy is a Project Leader at FoodCycle Cricklewood and has been a volunteer for over 10 months. We asked him why he joined FoodCycle as a volunteer, what being a Project Leader entails and what he has gained from his volunteering role. Read on to learn more! Every year we invite our Project Leaders to our Annual Conference, where we share ideas, develop new skills and get a chance to celebrate all the amazing things they achieve as volunteers. Joana Costa is one of these volunteer leaders, who has been volunteering with FoodCycle Birmingham Aston for a few months. We asked her to tell us more about her experience at the conference and what inspires her to give her time to FoodCycle! Every year at the FoodCycle Conference we recognise the work of our amazing Project Leaders. This year we added some awards for individual volunteers who have made a big impact in their region. Here are the winners! Project Leader, Chris, has given over 155 hours to FoodCycle Finsbury Park, a project renowned for it's high-quality food and attention to detail. We asked him about what his role involves, what he has learned and why he thinks presentation is so important! Project Leader, Calum, has given over 192 hours to FoodCycle Liverpool, helping it to become a project full of heart. We asked him how it feels to have given so much time, what his most memorable moment has been and what he gets up to when he isn't being a fantastic FoodCycler? We are pleased to announce that Stephen Catling, currently a Trustee at FoodCycle, will succeed Penny Daly as Chair of the Trustee Board in September 2018. I have made it to the end of the challenge, for many people this will be an ongoing weekly challenge to feed themselves and their families. I have just enough food to make meals and eat for my last day. I had a quiet day today, starting off with a trip to the dentist, which cost £21.60 for a check up. If you lose your teeth it makes it harder to eat a healthy diet, but the dentist cost more than my food budget for the week! Day 5 went well, I think I am getting used to eating less food. It was Bran flakes for breakfast with banana again. I never realised how sweet bran flakes were before, but it must be because they are the only food with sugar in that I have to eat. The bran flakes were a bargain and have added a welcome crunch to my meals. I am having to spend more time organising my eating, I am finding that I think more about food, I am looking at the food in the fridge and am wondering if it will last me the week, I am lucky enough to know that I can go back to my usual food budget next week. Tuesday was a bit easier, though I had chicken for tea again, I still woke early, but no headache today. Still not had any coffee, so I am getting used to tea. Monday and the second day of the challenge, I woke up at 6 am hungry, I waited till 8 am to eat my breakfast as it would be a long time till lunch. I had toast and baked beans for breakfast which filled me up, but I am still missing coffee to wake me up. FoodCycle East Acton is running in partnership with Bubble & Squeak, a group of entrepreneurial children from West London who are fighting food waste by selling surplus food in the school playground and to the local community. Project Leader, Vib, has given over 250 hours to making FoodCycle Cambridge the thriving project it is. We asked her how it feels to have given so much time, what her most memorable moment has been and what she gets up to when she isn't being a fantastic FoodCycler? It's volunteering week and what better way to celebrate than to showcase the amazing people that keep FoodCycle running. We spoke to Karen from FoodCycle Exeter, who has given over 250 hours and has no plans of slowing down. Karen, we applaud you! Could you live off £2.50 a day? We've launched our Holiday Hunger Challenge to raise awareness what it’s like to be hungry in Britain today and to fundraise for FoodCycle's work. Every week our volunteers are challenged with turning the surplus food into delicious and nutritious meals. They’ve gotten pretty creative to make a mismatch of food work together. We’ve asked them to share some of their recipes with you so you can make a three course meal the FoodCycle way! If it wasn’t for our food collection heroes, none of our tasty, community meals could happen. This week we spoke to Anne, an amazing Project Leader who joins the team collecting food on foot, rain or shine, at FoodCycle Islington. If it wasn’t for our food collection heroes, none of our tasty, community meals could happen. This week we spoke to Ellen, an amazing Project Leader who joins the team collecting food on bike, rain or shine, in hilly Bristol. If it wasn’t for our food collection heroes, none of our tasty, community meals could happen. This week we spoke to Gordon, an amazing Project Leader who joins the team collecting lots of lovely food by car, in wonderful Cambridge. What’s going on in your community this spring? Spring into action and get stuck involved in your community this season. There is an abundance of activities taking place in your community as the weather warms up and the outdoors begins to flourish. We know that winter months can be hard for everyone, but those who are more vulnerable are often hit the hardest. Some of our guests have kindly shared how FoodCycle helps them out in the colder months. The more food wasted, the worse problems such as hunger and food poverty become. There are also economic and environmental impacts to consider. So, what can we, as ordinary citizens, do to help reduce this unnecessary waste? Here are five practical steps you can take to do your part. If you already plan on giving back to your communities this year by volunteering, then great! But if you're still on the fence about it, allow us to convince you with these five pretty great reasons to go for it. It's been a year of growth for FoodCycle in 2017, in more ways than one. We opened 6 more projects this year - Salford Langworthy and Prestwich in Manchester, as well as Bow Road, Cricklewood, Finsbury Park, and Dalston in London - widening our reach and spreading our advocacy across the UK. That brings the total number of FoodCycle projects to 34, the most we’ve had to date. Practical Peter from FoodCycle Finsbury Park loves a good hack. Whether it is making delicious meals using food surplus, using simple methods to clean difficult stains or thinking up non-traditional cooking methods, Peter is your man. In this monthly blog, he will be sharing all his favourite FoodCycley knowledge with you, so you can get a bit of the Peter magic each month. Although I already knew that FoodCycle does more than just feed people, experiencing for myself the intangible effect of the community-like gathering – and how it directly addressed the issues brought about by food poverty – was something else entirely. In October, myself and a few other Bristol project leaders headed to London for the conference. The conference is great because it gives the Project Leaders a chance to meet up with projects from around the country – I ended up making friends with some of the Peterborough team, and I’m going to have to visit the Birmingham and Sheffield projects at some point soon. I attended a conference on a weekend and I loved every minute of it. As a fledgling Project Leader I had no idea what to expect when Matt invited me to attend the two day FoodCycle Annual Conference at a legal headquarters. Sounded heavy. And in some ways, it was. After a lectern thumping introduction from our leaders we found ourselves pacing between boardrooms having serious chats against a stunning city skyline backdrop. Like a UK version of Suits, minus the withering one liners. In casual purple T-shirts. At this year’s FoodCycle Annual Conference we have been delighted to recognise the brilliant efforts of our Project Leaders at our awards ceremony. Our Project Leaders give so much time, energy and creativity each week to their projects, and really do help to reduce food poverty, loneliness and food waste in their communities. The Annual Conference… from the Project Leaders’ Mouth! It's that time of year again where we invite our fantastic project leaders to London for a two-day, action packed conference. We sat down with the lovely guests at FoodCycle Islington to ask them about why they come along and what they enjoy about a FoodCycle meal. FoodCycle Bloomsbury has a new home - in Finsbury Park! Project Leader, Jenny Dickson talks about why they have moved location and their hopes for the future. "After I attended my first session, the first question I asked myself was 'Why did I not know about this sooner?'" - interested in getting involved in FoodCycle? Find out more from Project Leader, Hibi Racs. We’re so happy to announce FoodCycle's third impact report which we launched at the beginning of 2016! It’s a celebration of everything our volunteers do to build communities, support vulnerable people and make a difference to the lives of our guests. As FoodCyclers, food fanatics and fans of the open air, both Sarah and Clare at FoodCycle HQ have been keen to go gleaning for a long time. On a sunny Monday in August, we headed down to a farm in Sussex to save surplus sweetcorn. Organising a fundraising event – top tips! In this guest post, Tess Timothy, one half of FoodCycle’s dynamic fundraising duo, reflects on the lessons she has learnt from masterminding the charity’s 2016 gala dinner. Tess gives some pearls of wisdom for the budding events organiser, and gives some key insights into what its like to put on a high profile event. FoodCycle Birmingham relaunched at the end of April 2016. In this guest post, the Birmingham Aston Hub Leader team reflect on the first couple of weeks of setting up and running the Hub. This post is written by Roisin Kay, Hub Leader at FoodCycle Portsmouth and Recipe Development Chef (what a great title!) at Kenwood, one of FoodCycle’s charity partners. Last week, an enthusiastic team from Kenwood took part in a ‘kitchen takeover’ at Portsmouth Hub. Can you help out at FoodCycle Clacton? FoodCycle Clacton-on-Sea is looking to recruit a volunteer Support Officer to help out at the project’s weekly cooking sessions on Monday lunchtimes. In this guest post, Peckham Hub Leader Sam Oxley reflects on his time as a volunteer. As well as looking at what he has got out of volunteering with FoodCycle, Sam looks at the importance of community and the power food has to bring people together. FoodCycle Connects launches in Bristol! In this big old city, squashed like a sardine on the commuter journey, it can sometime feel like random acts of kindness are a million miles away. For many, the capital can be an isolating place and positive interactions with strangers can sometimes feel few and far between. The days of the plastic bag are numbered: from October 5th 2015, a new law will mean that supermarkets will charge 5p for every plastic bag we use when we go shopping. Saddle up for the iconic London to Brighton cycle this September and raise money for FoodCycle! Mid Year Conference 2016: What a Day! Last Saturday we hosted our Mid-year conference and 40 wonderful Hub Leaders from across the country came along. FoodCycle’s Green & Pleasant Land! It’s been months in the planning but our big fundraising dinner ‘Green & Pleasant Land‘ is almost upon us: seven star chefs will each cook a course that celebrates British produce, our landscape and the communities we work to support across the country. After months of monitoring and evaluation, we’re so happy to announce our second social impact report! It’s the culmination of lots of hard work in our Hubs and a celebration of all that our projects have achieved. Great news – FoodCycle opens five new Hubs! Wow, what a start to 2016: as well as our plans for two new projects with Outward, we are so happy to announce that we’re opening another five Hubs. Feelin’ festive at FoodCycle Bloomsbury! Last weekend, FoodCycle Bloomsbury kicked off the Christmas season with a festive fundraiser – they raised over £570 and had a fantastic night. But you don’t need us to tell you that – just read their Christmassy poem for a flavour of the night! 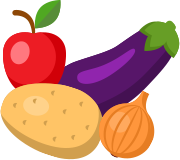 FoodCycle LSE is partnered with the HIV charity The Food Chain, and in this post Anna Ellis explains what that partnerships means for their guests, and how FoodCycle LSE are supporting people living with HIV. It’s only the 1st of December and if you’re already sick of the Christmas hype, you’re not the only one. With a small discovery similar to Bingham’s uncovering of Machu Picchu in 1911, the St Bart’s hub in Sheffield has discovered a gem of their own. On Thursday 29th November, FoodCycle Liverpool celebrated its first birthday in Toxteth. Wow, FoodCycle 2015, what a weekend! Last weekend, 70 brilliant individuals from across the country came together for the highlight of the FoodCycle calendar: the annual Hub Leader conference! On Saturday 24th October, around 80 Hub Leaders, of all ages from all over the UK will be sacrificing their weekend lie-ins and rising early with one thing in common - they will all be heading to the annual FoodCycle Conference 2015! This September, FoodCycle Bristol Hub Leaders Alice, Cat and Hattie will be cycling from London to Paris and back (over 300 miles!) to raise money for FoodCycle. London to Brighton – Thank you! A massive congratulation to our team of cyclists that took on the London to Brighton cycle ride last weekend! They’ve raised over £1,500 so far – and donations are still rolling in!